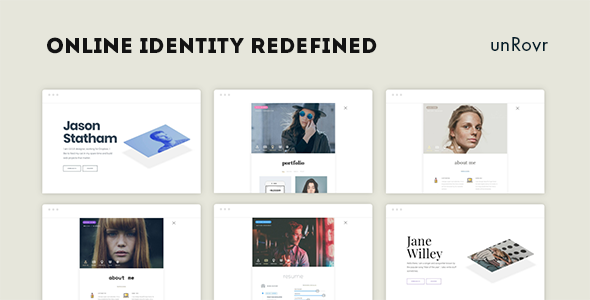 unRovr is the reformer way of representing your online identity. Itâ€™s unique layout and smooth animations will show what you have to curious eyes. It has plenty of customization options that you can tune it up to reflect your style in minutes with no hassle.